October Afternoon clear stamps are made of photopolymer resin. This high-quality material gives the stamps their strong "cling" and excellent ink carrying characteristics. 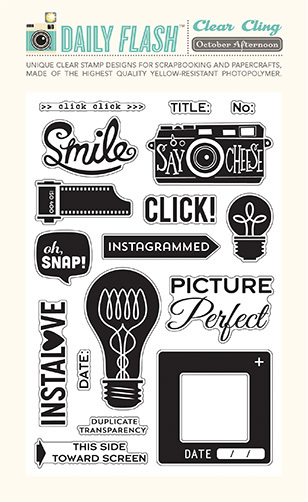 For improved customer satisfaction, October Afternoon clear stamps are made of yellow-resistant photopolymer.